Our Automated Vision Tester sets new quality standards. 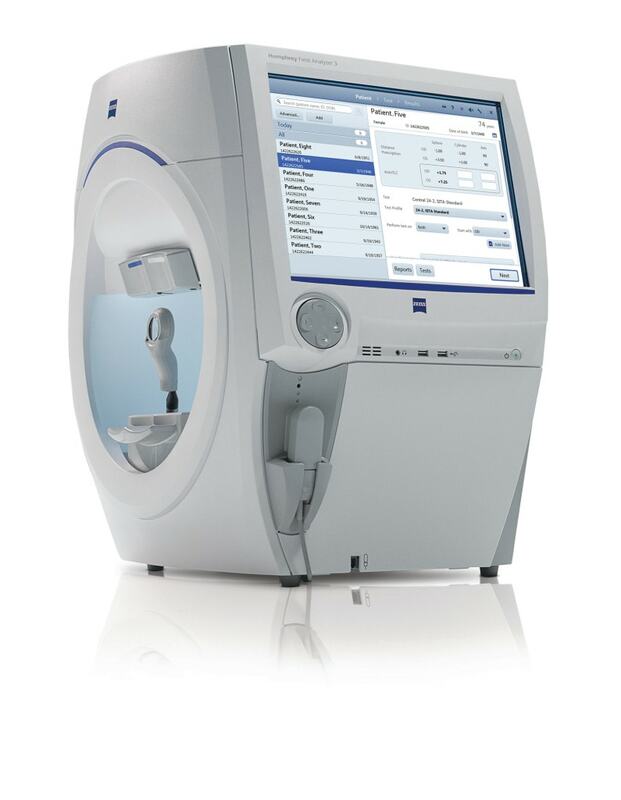 The system provides comfort for the patient and a complete 21-point refraction. The system auto transfers the final numbers to the patient records to reduce any errors, which helps our lab make your glasses exactly right! Optical coherence tomography (OCT) is a non-invasive imaging technique for obtaining sub-surface images and uses light waves to take cross-section pictures of your retina. It works similarly to an ultrasound, however, provides images at a much higher resolution (better than 10 µm). OCT, therefore, captures images at near-microscopic resolution instantly direct imaging of tissue morphology without having ionizing radiation. With the images captured by the OCT, the optometrist can map and measure the thickness of the retina as each layer can be seen discretely. These measurements help with diagnosis and provide treatment guidance. This examination of the layers can help isolate many eye conditions early such as a macular hole, macular edema, glaucoma, central serous and diabetic retinopathy among many others. 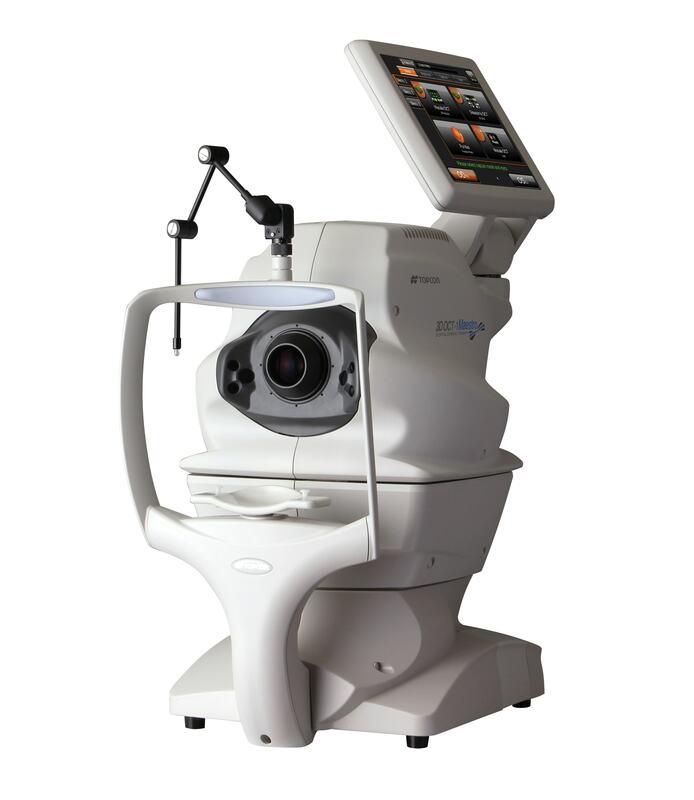 The patient is seated in front of the OCT machine and the machine non-invasively scans the eye. A retinal scan using our latest OCT equipment is highly recommended to diagnose and treat any possible conditions early. 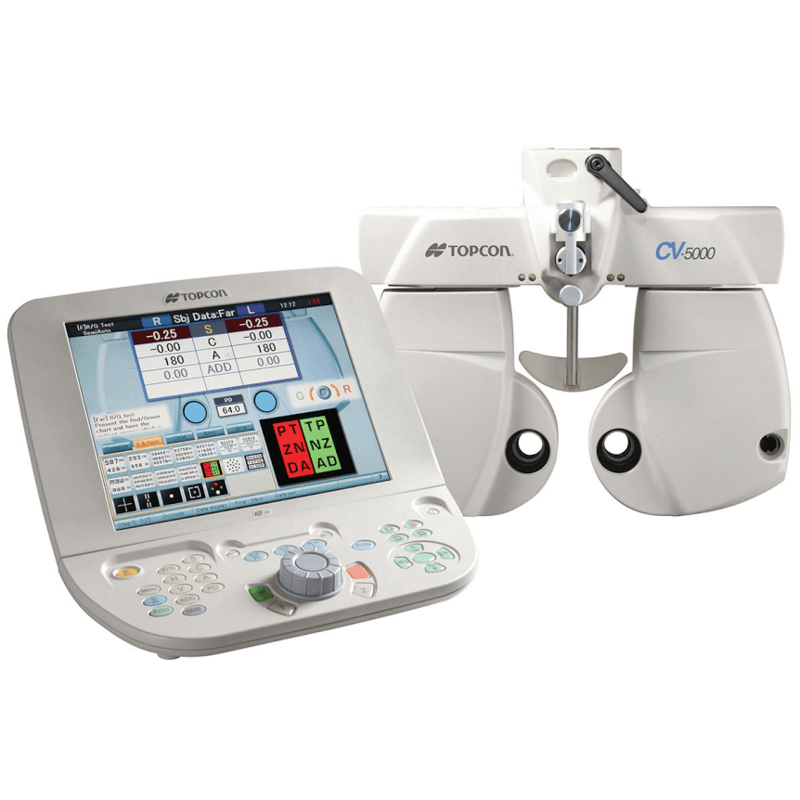 Optometrists use Visual Field Perimetry Testing Equipment to look for signs of peripheral vision loss in their patients.